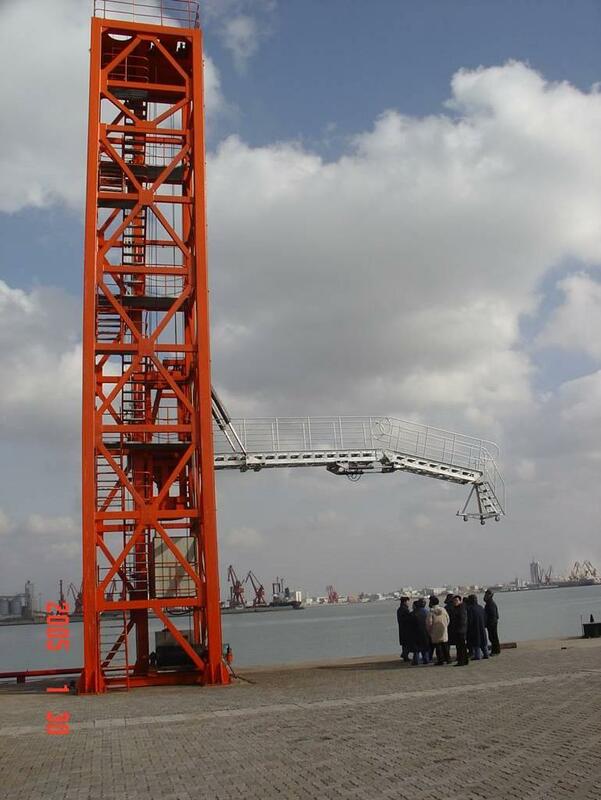 Hi-Tech Gangway is a equipment for people boarding & disembarking safely and favorably during oil tanker operating at modern size oil dock. Its is a necessary choice to adopt gangway to replace accommodation ladder so as to accelerate loading work of tanker and ensure safe boarding and disembarking . 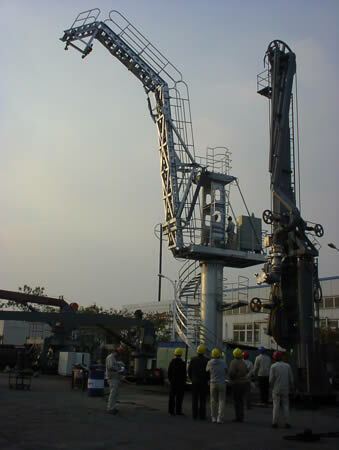 The Gangway almost become a necessary equipment as loading/unloading equipment. Steady, safe, agile and continent operation. The electrical control system which have reliable quality and good performance. The wireless remote controller operation for convenient operation. 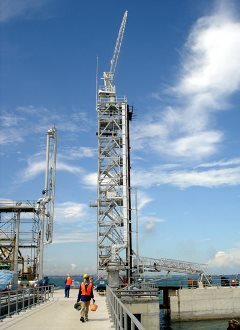 Hosier / steel steel structure/ fire proof design standard.